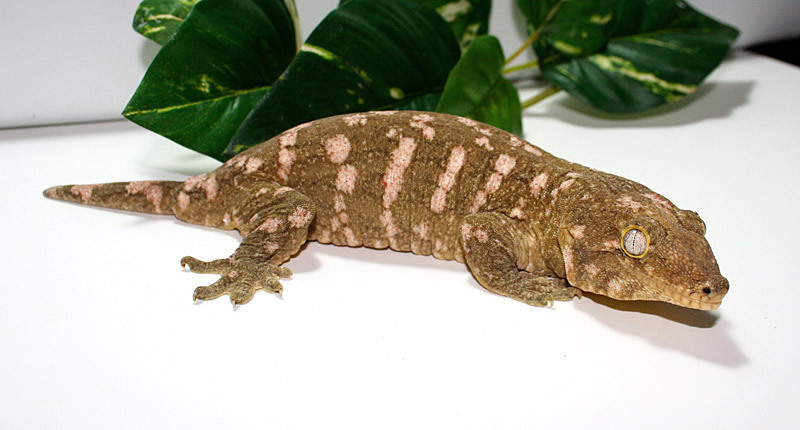 If you would like to purchase an animal please send us an e-mail including the identification number of the animal that you are inquiring about so that we can make sure the animal is still available. 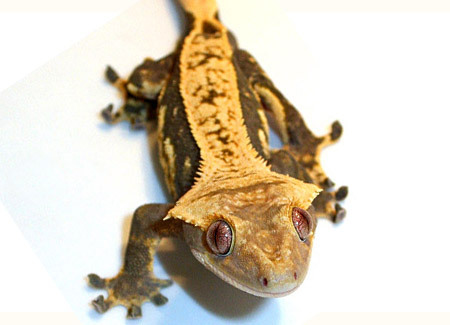 You will also need to provide us with your zip code so that we can calculate shipping costs and provide you with a total purchase price. 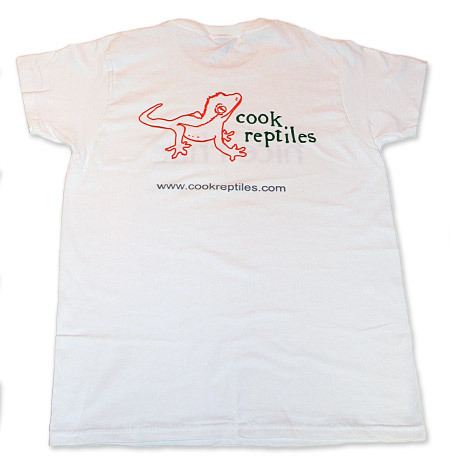 Inquiries are served on a first come, first served basis. 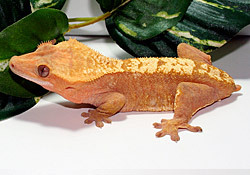 Animals are not considered sold until payment is received in full or other arrangements are made. 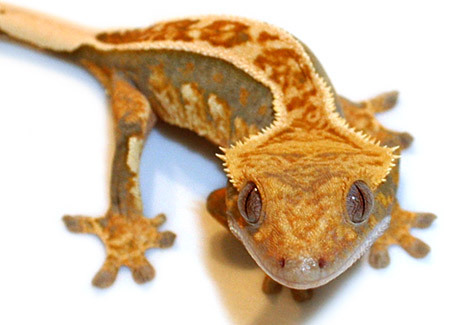 Please be sure to read our terms before inquiring about an animal. 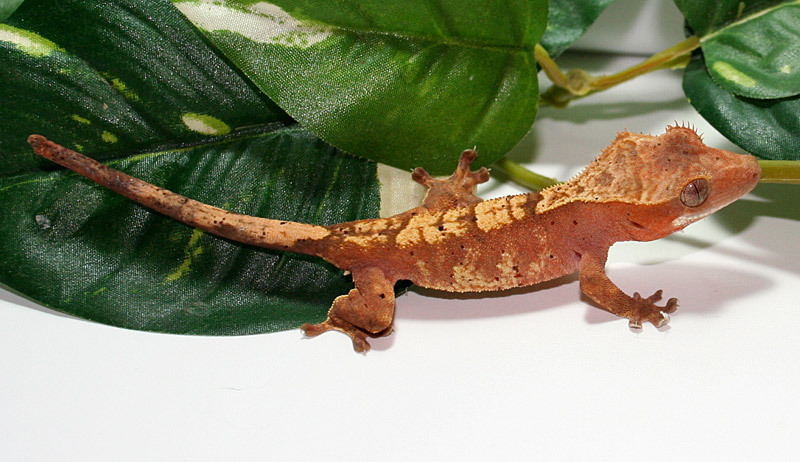 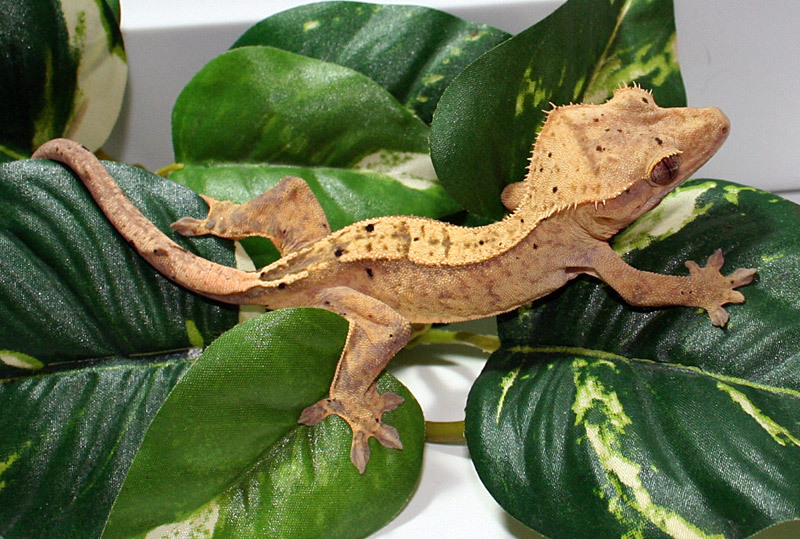 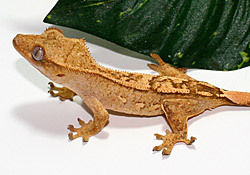 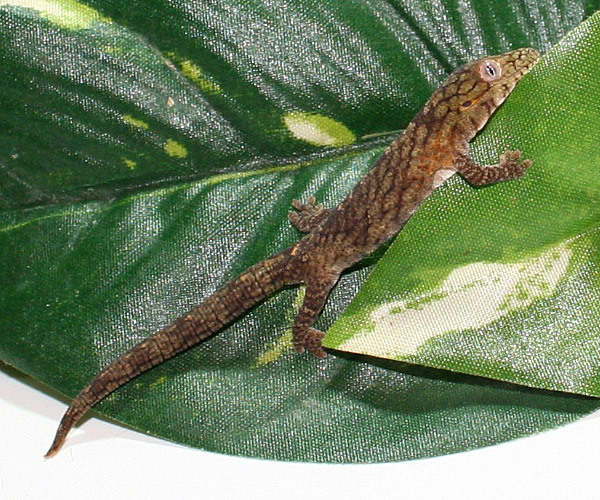 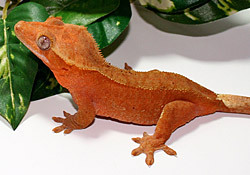 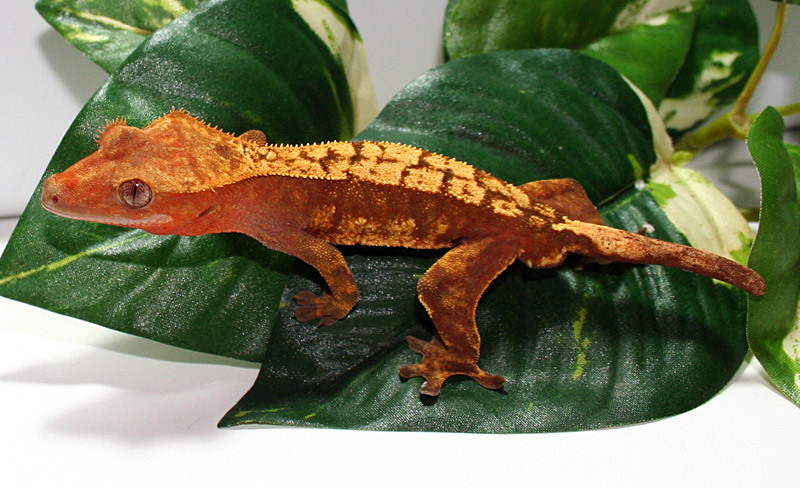 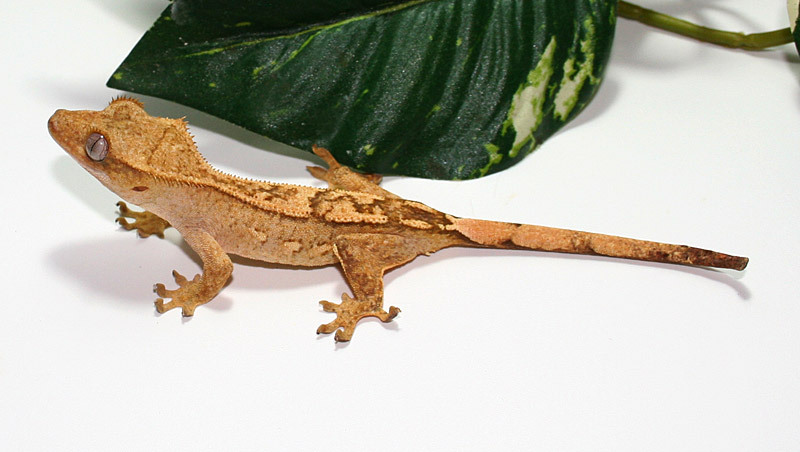 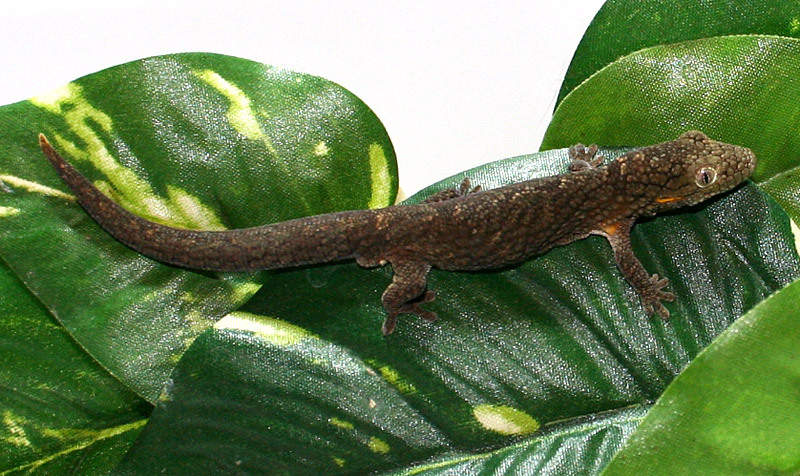 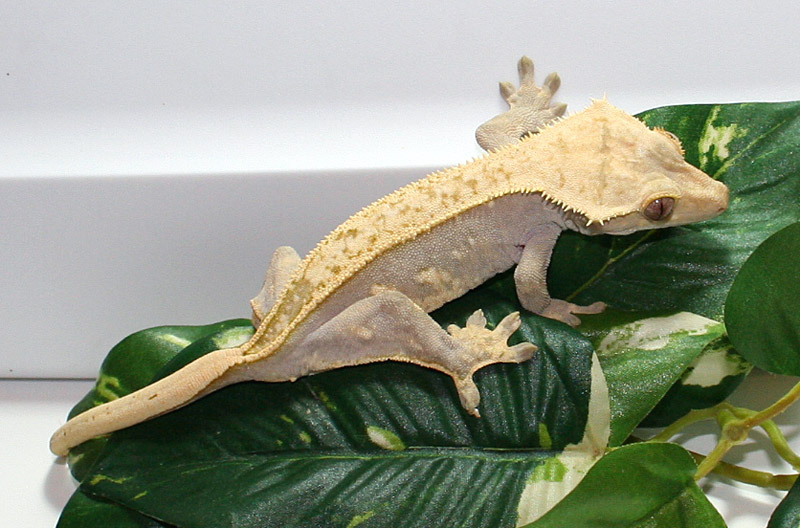 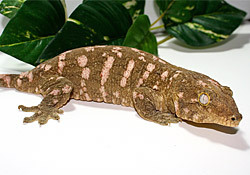 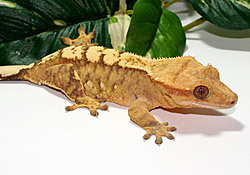 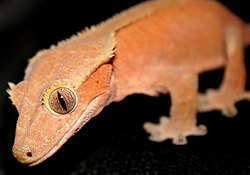 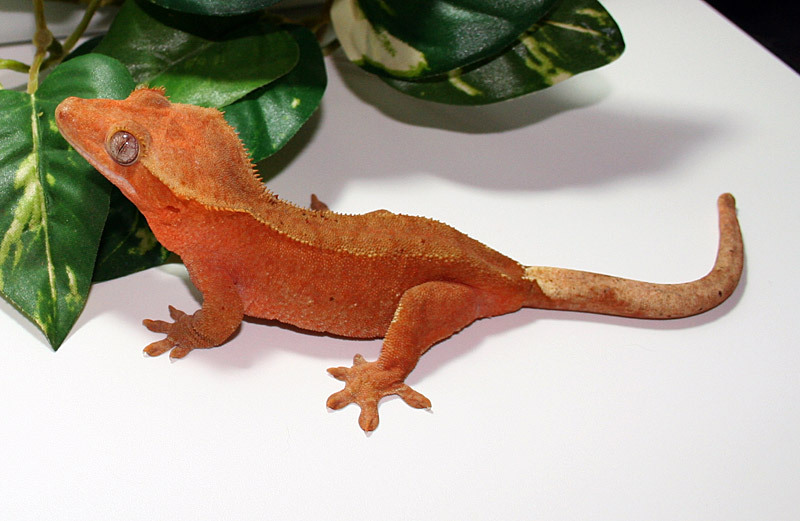 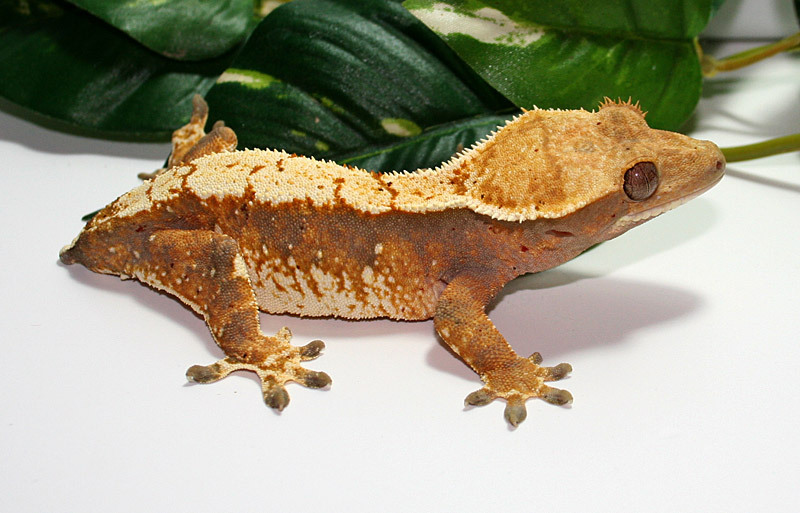 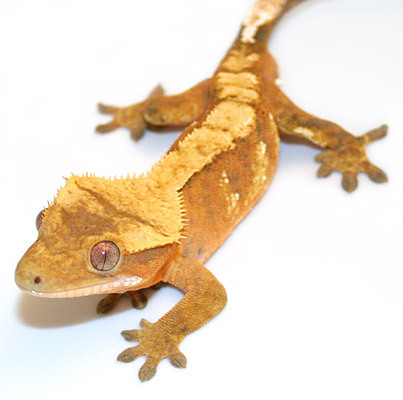 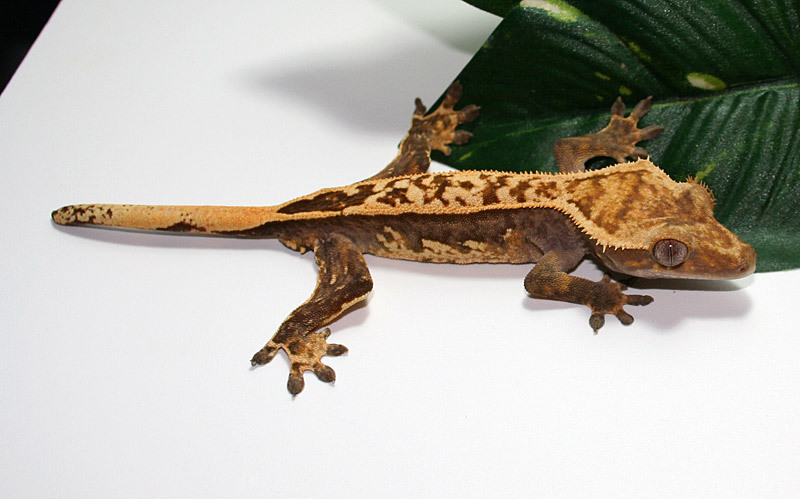 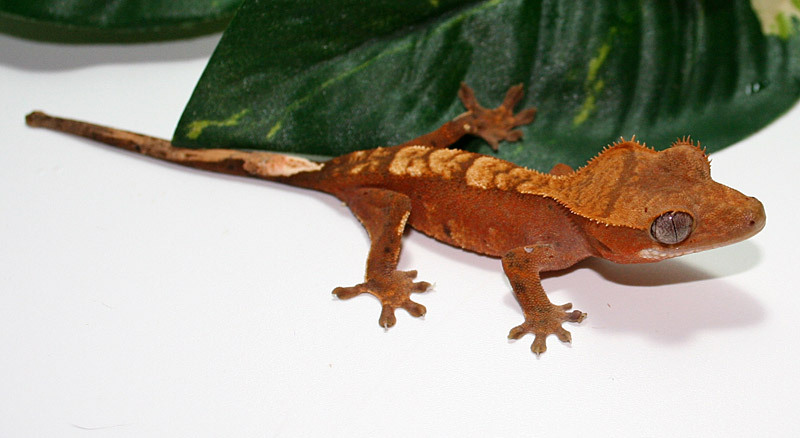 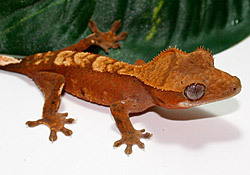 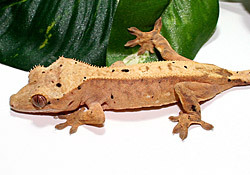 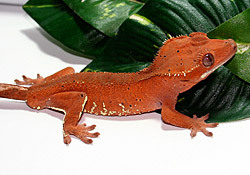 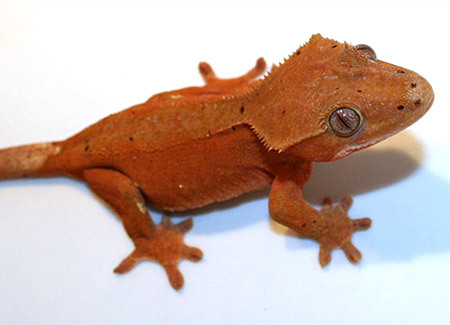 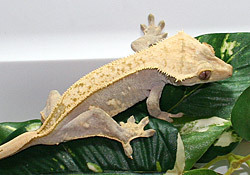 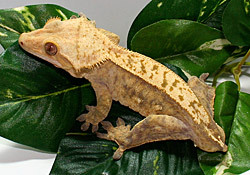 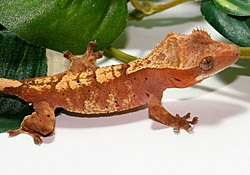 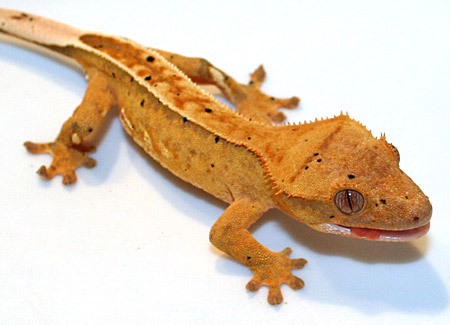 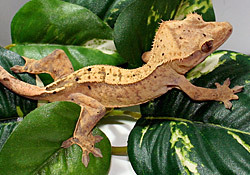 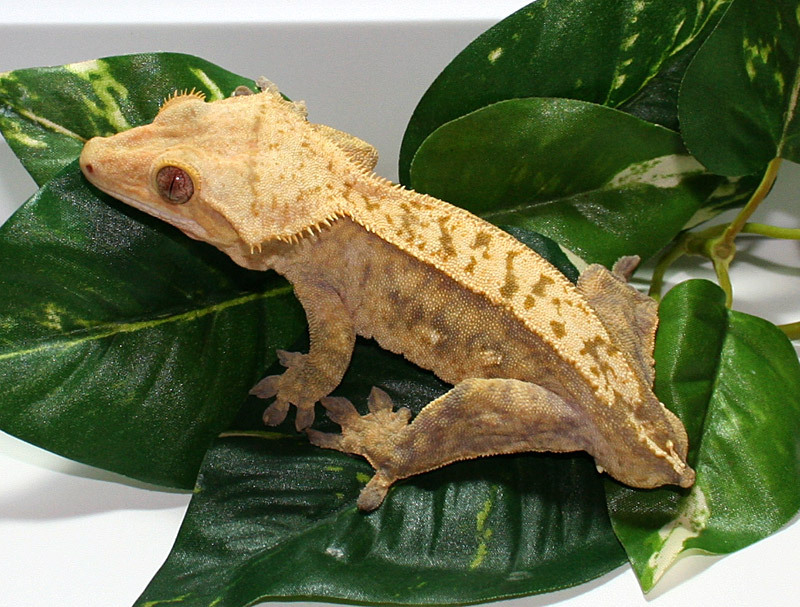 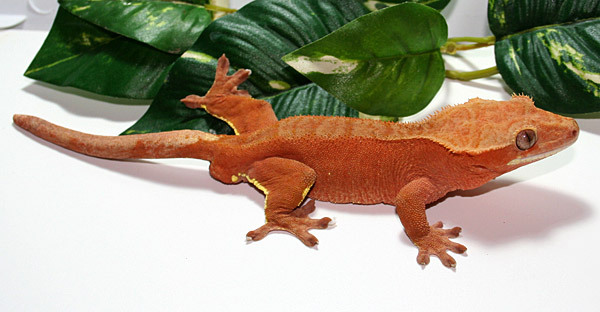 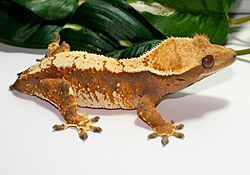 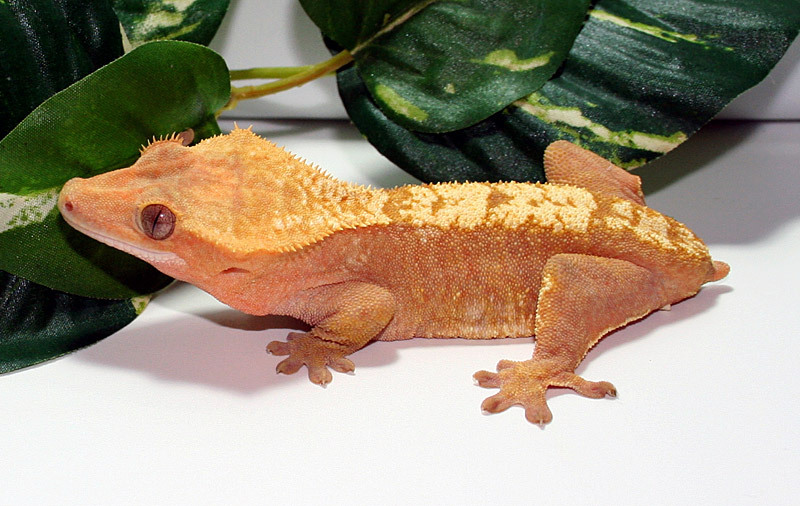 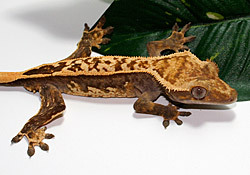 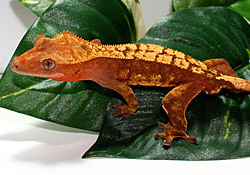 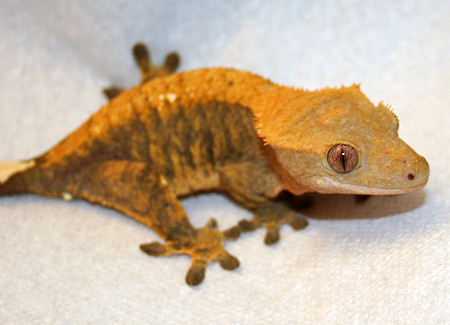 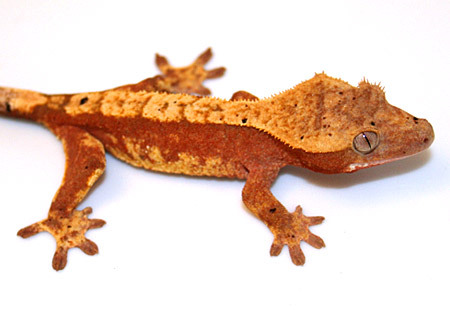 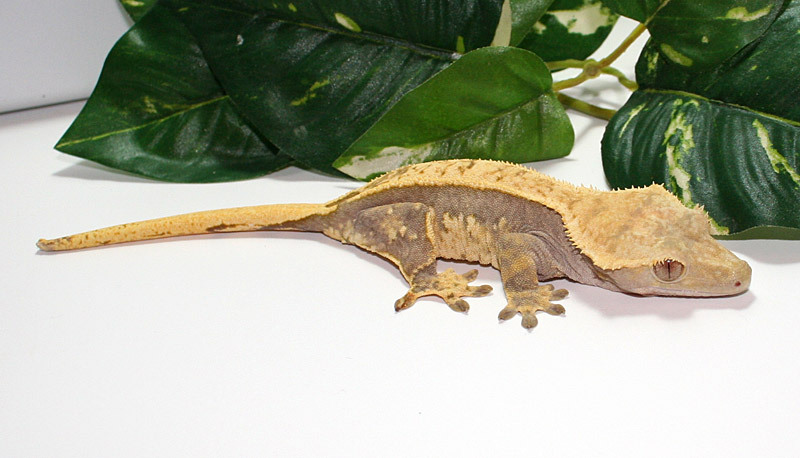 Our geckos are fed Pangea Fruit Mix, Repashy Crested Gecko MRP and occasional Phoenix worms. 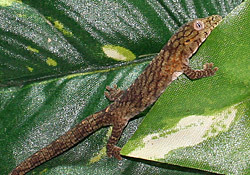 Please click the image next to each description for a larger photograph. 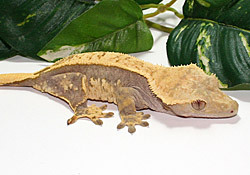 This male has a nice big head with great floppy crests. 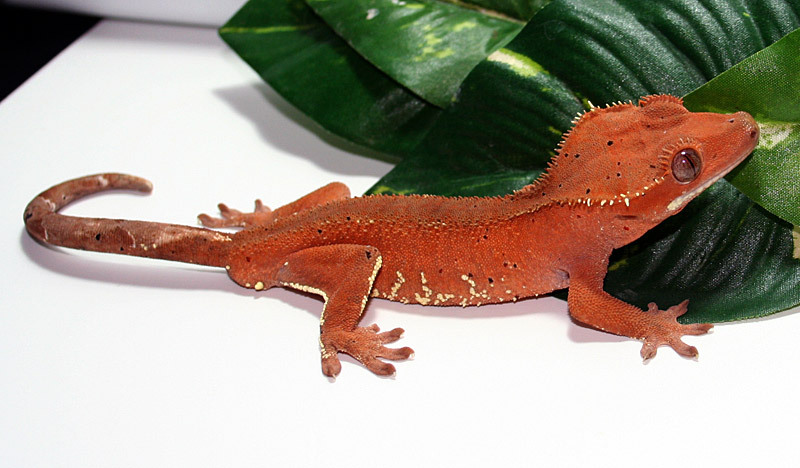 This male has some serious blushing going on! 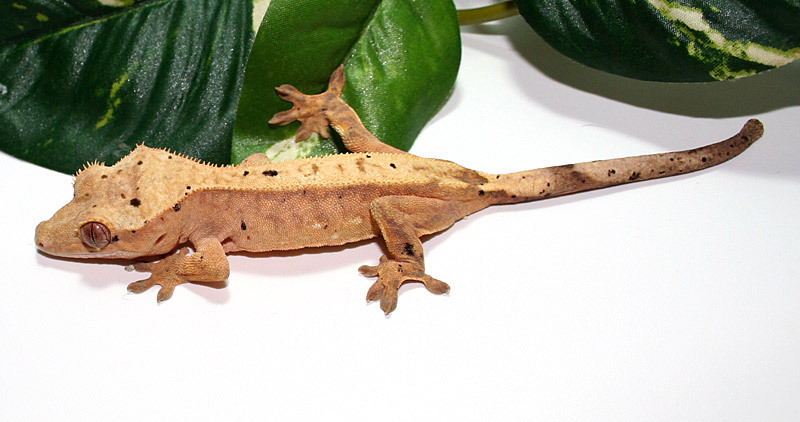 This male has great color along with white tipped crests running along both sides of his head, white fringing and white spotting running up his sides. 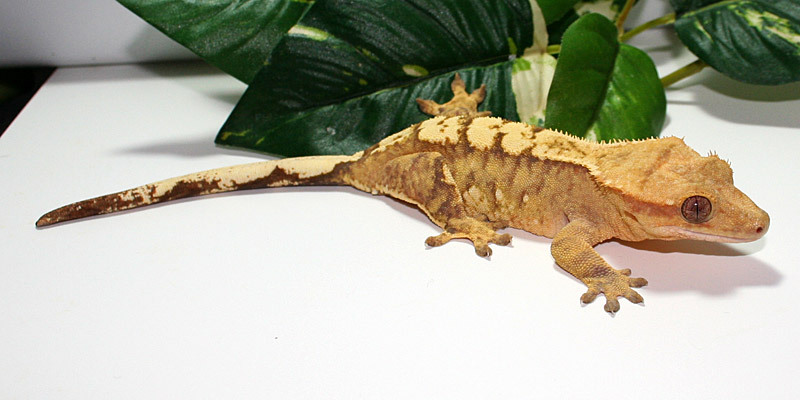 I really wanted to find a female with the same characteristics in order to start a breeding project, but I never really found anything quite like him! 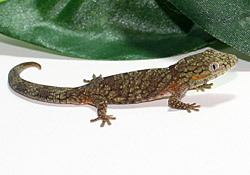 This 6 month old male was produced by unrelated parents--one was produced by Derek Wong and the other is European stock. 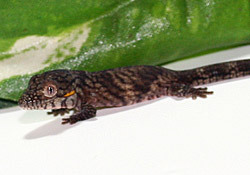 This well-started hatchling was produced by unrelated parents--one was produced by Derek Wong and the other is European stock. 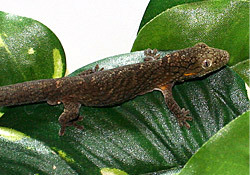 This subadult male was produced by unrelated parents--one was produced by Derek Wong and the other is European stock. 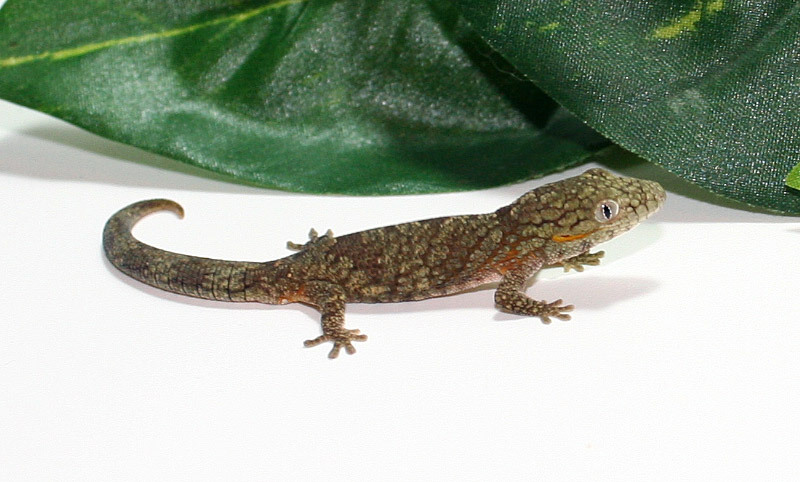 This juvenile probable male was produced by unrelated parents--one was produced by Derek Wong and the other is European stock. 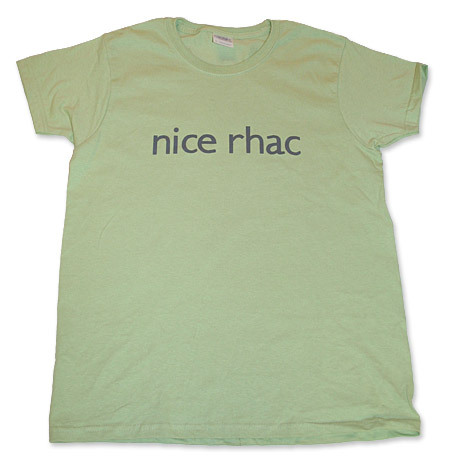 Ladies-cut Gildan shirt, 100% cotton pre-shrunk jersey. 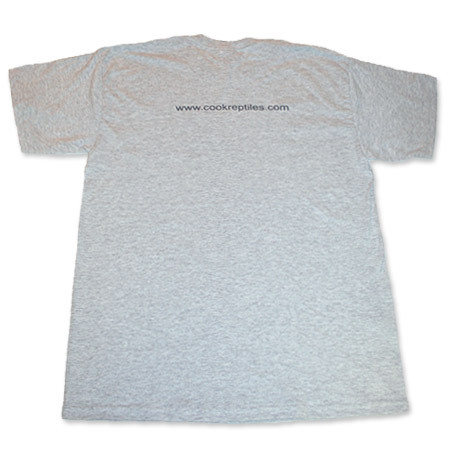 Adult shirt, Gildan 50% cotton/50% polyester pre-shrunk jersey. 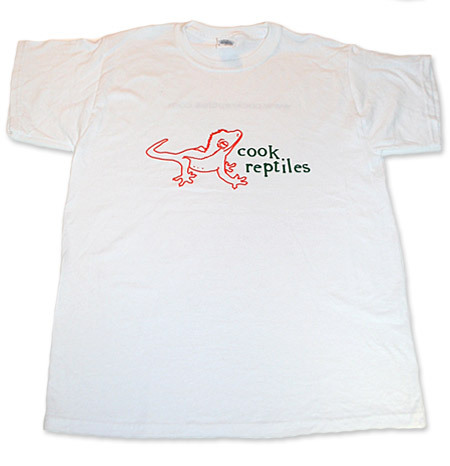 Web site design, images and content are property of Cook Reptiles, © 2014, and may not be copied or reproduced in any way without prior written consent.